Round of Words in 80 days begins in one week. I can’t wait for the start so I’m getting an early jump on my goals. So what do I want to do for this round? Submit three proposals to my three top publishing houses. For those who are making their own goals, good luck! For those who are following along in my trek, I can’t promise it will be interesting, but I can promise I’ll make it as fun as possible. I took a mini holiday this week to just enjoy my family and hang out. Last year was one of the toughest holidays I’d ever had. Being stationed away from the family was a rough time. The kids were fabulous, I relaxed, and my husband just enjoyed us being together. I am almost done with my proposal to send to an agent for my latest novel. I also have a submission almost ready to go for a publisher I’d wanted to be a part of for as long as I could remember. I hope your holiday was great. For me, it was epic. I was chatting with longtime writing pal Lacey Savage about writing goals. We’ll be checking in with each other every Sunday. I’ll be keeping my posts here for all to see (and to keep me honest LOL). 1. Pursue a publication in a Harlequin print line (Harlequin Medical) by submitting at least 2 partials. (No new penname picked out or anything, just focusing on submitting). 2. Submit at least three works under Dawn Montgomery to three of my choice publishers (1 each minimum) per quarter. 3. Sub partial to agency of choice the first week of January (for my current novel). 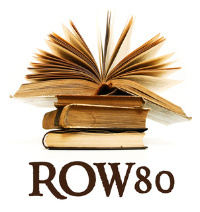 With ROW80 and this check-in with Lacey, I’ll keep myself on track! So what are your goals? I forgot to change my NaNoWriMo settings to Alaska so it’s still on Turkey time. So for those in Turkey, NaNo is officially over. Unfortunately that also means it’s over for me and I couldn’t do my last update. My NaNoWriMo came in at 25,675 words. Over halfway to my goal. Not the 50K, but then again, I finished a lot of projects. Good luck to those on the last leg of this journey!